What exactly does it mean to be a TeacherLists Admin? 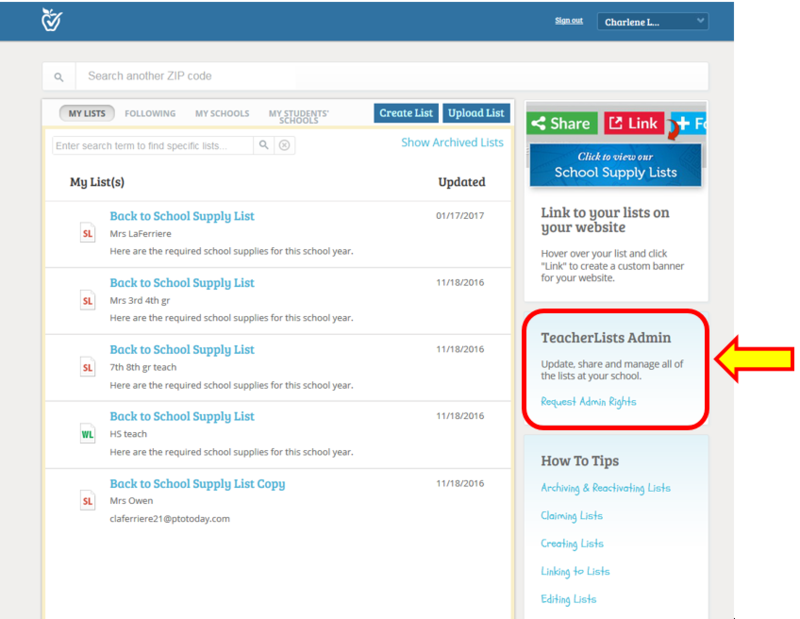 Being a TeacherLits admin means you’ll have overall management rights for ALL of the supply lists at your school, even if the lists were posted by another user. This puts you in the driver’s seat so you can quickly and easily make updates to your school’s lists anytime you want, year over year. Create new lists – Lists can be created at the classroom, grade or school level. Update lists – Update your lists at any time or simply update from year to year if your lists stay the same. Share lists – Easily share your lists with school parents via banner links, email, or social media. Archive or delete lists – Delete outdated lists, or move them to the archive so they’ll no longer appear when parents search. Reactivate lists – Reactivate any list that has been previously archived. Reassign lists – Assign existing lists to new teachers. Want to get early access to all of our sweepstakes and giveaways, a free gift, and exclusive admin-only info? When you sign up to be a TeacherLists Admin, you’ll get all this—PLUS you’ll be empowered to manage the supply lists for your school. Here are some of the exclusive admin-only perks you’ll enjoy. Who doesn’t love a freebie? When you sign up to become an admin, we’ll automatically send you a free product from one of our sponsors (think Crayola, Clorox, Mead, and other teacher-trusted brands!). Every year, TeacherLists runs some pretty cool sweepstakes (with prizes like a $500 school supply stash, a school supply vending machine, or even $5,000 for your school!). As an admin, you’ll get early access to these giveaways, which means you’ll have more time to enter—and we’ll even give you an extra entry! We’ll provide you with helpful supply list tips, info, and insights throughout the year. Annual yearly usage report – Upon request, you’ll get a report listing the supply list and wish list activity for your entire school—which means you’ll know who’s viewing your lists and when (and even who’s pledged to donate items to your teachers’ wish lists!). Best practice guidelines – Get quick tips and tricks on how to make the supply list process as simple as possible for your school and parents. New TeacherLists Feature Updates – You’ll be among the first to know about our latest product enhancements! Ready to become an admin? Just login and go to your dashboard to request admin rights. That’s it! You’ll be notified when your request has been approved. To expedite the process, we recommend notifying your school administration team that we’ll be calling OR better yet, have them (school secretary, principal, etc. ), email us at tlsupport@teacherlists.com and let us know they approve the request. 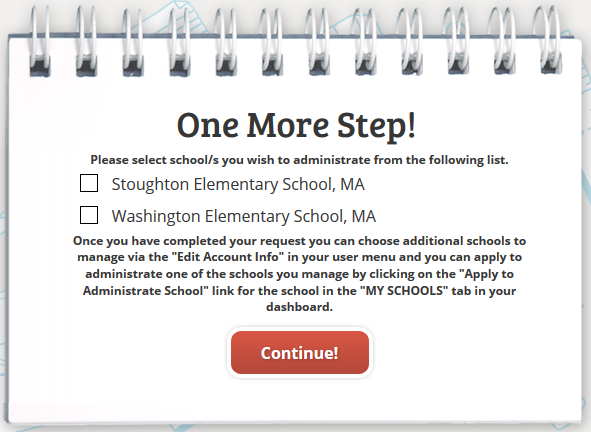 Once we verify your request with your school you will be given school wide list privileges, it’s that simple. Have any questions? Give us a call at 800/644-3561 x6 OR email us at tlsupport@TeacherLists.com We’re happy to help you and your school get set up and ready for the new school year!